The stabbing was reported in the area of Santa Clara and South 1st streets. 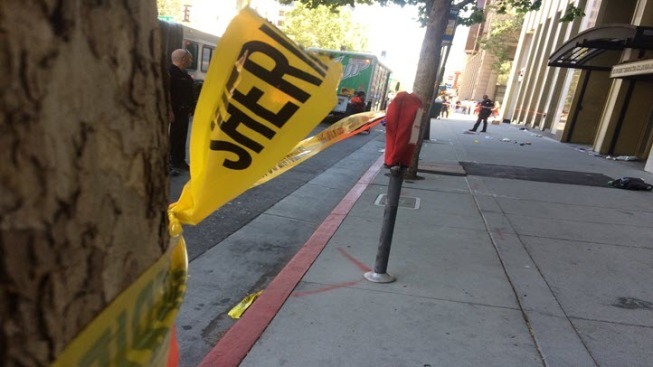 A man has been hospitalized after he was stabbed Tuesday morning in downtown San Jose, according to police. The suspect is in police custody, police said. Officer Albert Morales said officers responded to the area of Santa Clara and South 1st streets just after 10:20 a.m. for a reported stabbing. When officers arrived on scene they found a man suffering from at least one stab wound, Morales said.